A highly targeted form of phishing, spear phishing involves bespoke emails being sent to well-researched victims. It is hard to spot without close inspection and difficult to stop with technical controls alone. Spear phishing is the act of sending and emails to specific and well-researched targets while purporting to be a trusted sender. The aim is to either infect devices with malware or convince victims to hand over information or money. 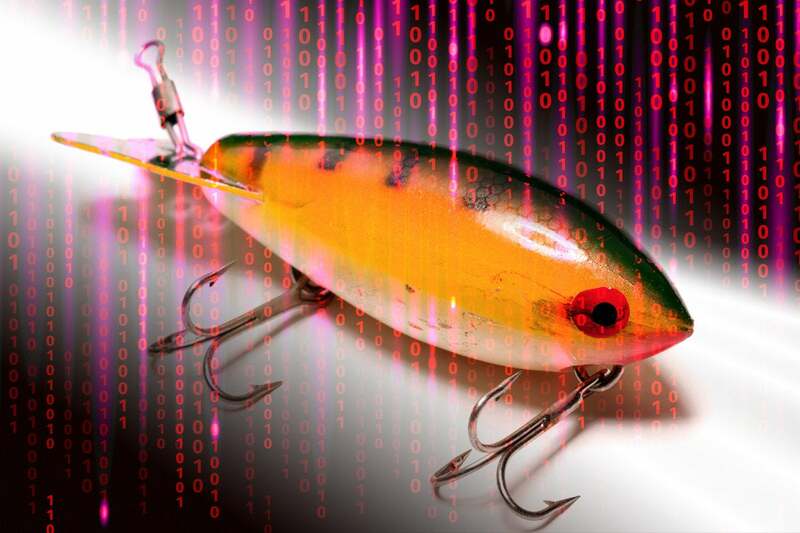 Where phishing attacks began as Nigerian prince scams in the mid-1990s, today they have morphed into well-researched and targeted campaigns that are both highly effective and incredibly difficult to stop. “Spear phishing is a campaign that was purposefully built by a threat actor with a goal of penetrating one organization, and where they will really research names and roles within a company,” Higbee adds. Where mass phishing primarily involves using automated off-the-shelf kits to gather credentials en masse using faux log-in pages for common banking or email services or spread ransomware or cryptomining malware, spear phishing attacks are more complicated. Some targeted campaigns involve documents containing malware or links to credential stealing sites to steal sensitive information or valuable intellectual property, or to simply compromise payment systems. Others avoid malicious payloads and instead use social engineering to hijack processes for a small number of large payouts via a single or series of bank transfers. The “from” part an email is often be spoofed to make it look like it’s from a known entity or from a domain that looks similar to yours or your trusted partners. For example, the letter “o” might be replaced with the number “0,” or the letter “w” might be changed to “ш” from the Russian alphabet. Along with extremely focused targeting, spear-phishing campaigns contain a large reconnaissance element. Threat actors might start with emails harvested from a data breach, but supplement that with a host of information easily found online. The Nigerian criminal group known as London Blue, , has even used legitimate commercial lead generation sites to gather information on CFOs and other finance department employees. Social media such as LinkedIn and Twitter provide insight into roles, responsibilities and professional relationships within an organization, and thus help inform who is best to both target and impersonate. Company websites might provide insight into processes, suppliers and technology, while the likes of Facebook and Instagram might provide personal insight into potential targets that could be leveraged. Spear-phishing attacks targeting high-level executives are often known as whale phishing attacks, and usually involve an attacker attempting to impersonate the CEO or similarly important person within the company with the aim of using superiority to coerce the victim into making payments or sharing information. Studies suggest executives are more likely than other employees to fall victim to such attacks. A recent Rapid7 experiment managed to fool three-quarters of the CEOs it targeted. Targeted attacks that look to abuse processes such as payroll or invoicing are commonly known as business email compromise (BEC). Security firm Agari has recently found examples of scammers targeting HR departments to convince them to change existing payroll direct deposit accounts to those set up by the criminals. A more common example is attackers pretending to be suppliers and requesting a change in invoicing details. Targeted attacks involving texting or voice calls are known as smishing and vishing, respectively, and follow similar patterns as email-based attacks. While perpetrators are criminal organizations or nation-states – Ukraine recently thwarted a suspected Russian attack against the State Judicial Administration – the tools are largely the same. Attacks relying solely on social engineering and business transaction could even be done through a basic email account from a regular provider without any extra tooling. Higbee of Cofense says that many off-the-shelf phishing kits are becoming increasingly good at automated personalization features. Many dark web criminal services now have people who will do research and scrape social media at scale on behalf of criminals – meaning attacks might not be as targeted as they first appear. He admits that the other side, however, is criminals might use more generic phishing tools and methods as the first wave of an attack so as not to reveal and burn more advanced techniques because more simple methods often work well enough. Why is spear phishing effective? According to the latest edition of Symantec’s Internet Security Threat Report, spear phishing was the primary infection vector among organized crime actors and employed by 71 percent of groups in 2017. Wombat’s State of the Phish study found 53 percent of infosec professionals reported experiencing spear phishing in 2017, with the majority of those facing one to five targeted attacks per quarter. Recent and notable attacks include volunteers and employees of Hillary Clinton’s presidential campaign being targeted as part of the Democratic National Committee attack and European manufacturer Leoni AG losing $45 million after its finance department was duped intro transferring funds into the wrong account. Gee adds that criminals might spend time building up the reputation of IP addresses and email domains by sending legitimate traffic and emails for a time to ensure they avoid blocking lists. While spear phishing emails are highly targeted and therefore likely different from organization to organization, unifying trends should raise red flags among users. The most obvious warning sign is an incorrect email address or one that looks similar to one you expect but is slightly different. However, email addresses can be spoofed or may not be noticeably different without close inspection. The urgency will often be coupled with an urge to break company policy or norms, fast-tracking payments without the usual checks and procedures. They may also use emotive language to either invoke sympathy or fear; the impersonated CEO might say you’re letting them down if you do not make the urgent payment, for example. Spear-phishing attempts often try to create a sense of urgency. 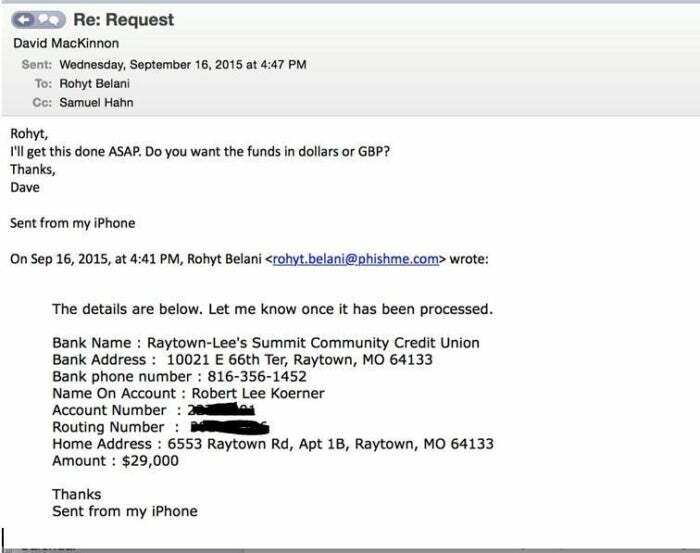 Terminology not typically used by an organization--for example, "wire transfer" instead of "bank transfer"--can indicate a spear-phishing attempt. Organizations can put both technical and human controls into place to mitigate the threat of spear phishing. Along with standard controls such as spam filters, malware detection and antivirus, companies should consider phishing simulation tests, user education, and having an established process for users to report suspicious emails to the IT security team.